You want the best for your child, right? Of course you do. Did you know that the health of your child’s eyes, and his or her eyesight, can shape the rest of their life? It can. That’s why it’s so important to protect your child. Here’s how. Nothing is more important than the routine eye exam. Why? Because it can uncover huge problems before they become serious. For example, an eye doctor can fine cataracts as they are just forming and then eliminate them before they become a serious problem. And, yes, even babies can get cataracts. Many children born today develop a vision condition called myopia, otherwise known as nearsightedness. This condition makes it so that a person can only see well close up. They can’t see very well far away. Many doctors suggest fixing this condition early in children so that the child can develop normally. If caught early, myopia may be arrested – meaning that the progression stops. Usually, this is done via surgery or through some other kind of medical intervention. Many parents opt for the best laser eye surgery in the UK to fix their child’s nearsightedness. Another option is to pursue a procedure called Orthokeratology, which attempts to change the shape of the cornea, correcting myopia. Either way, the goal is the same – to restore normal vision. Many parents also opt for a low-cost vision correction method: glasses. Simple corrective lenses do not actually correct the eye or vision, but are merely a piece of curved glass or plastic in front of the eye which distorts the vision. 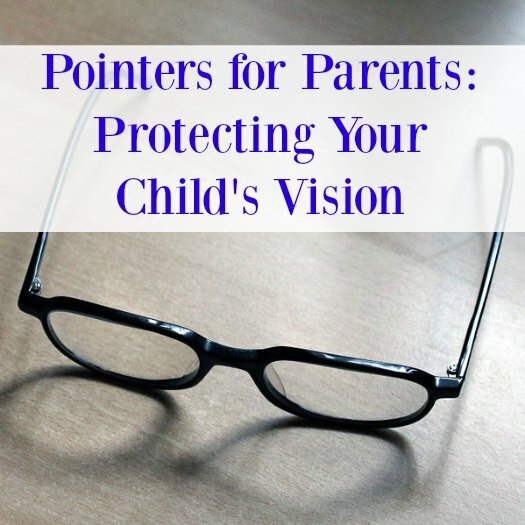 When a child is myopic, the lens distorts the abnormal vision, making it “normal.” The focal point of the lens is fixed at 20 feet in front of the wearer’s eye, meaning that the child will have 20/20 vision when looking at something 20 feet (or farther) away. This should be common sense. But, many parents do still give their kids sharp objects or toys that contain sharp objects. Keep knives, scissors, and other objects out of reach of your children. Make sure that your child has appropriate eye protection for his or her sport. And, make sure the kiddo wears UV-blocking sunglasses. About 1 in 20 preschoolers and 1 in 4 school-age kids have an eye problem that is left untreated. These conditions can lead to permanent vision problems, according to the American Academy of Ophthalmology (AAO). Your child may suffer from other eye problems that should be checked out right away. Strabismus, or misaligned or crossed eyes, amblyopia (lazy eye), hyperopia (farsightedness), conjunctivitis (“pinkeye”), and astigmatism. Each of these conditions requires you visit your eye doctor for a diagnosis. Lucas Cole works at his local opticians and loves helping kids pick out their new glasses, making it something fun instead of something to be dreaded. He writes about eyesight in his articles which can be found at health blogs around the web.